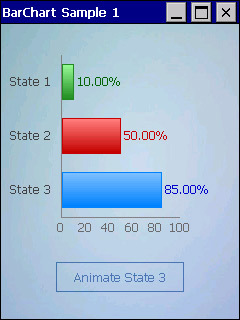 Ever needed to visualize a series of data in a graphical way? 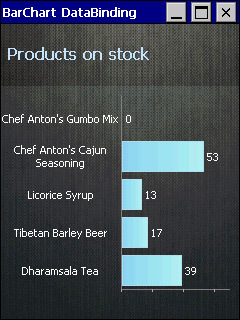 BarChart will help you to create bars attached to a scale graphically representing your data. This control is absolutely flexible when it comes to customization. You can customize the colors, width and height of the bars, values of the scale and its range including the lengths of ticks on the scale, the margins and so on. Thanks to full Visual Studio Designer support you can customize all the properties during design-time which will speed up the development and also make it easy and intuitive.